EFF has been shining its own light on NSA Internet surveillance for years with our landmark case, Jewel v. NSA. In more than 10 years of litigation, we’ve made significant strides. We’ve had our case dismissed but we fought the decision and it was reversed on appeal. We’ve overcome multiple delays. We’ve forced the NSA to produce evidence about whether our plaintiffs were harmed by mass, warrantless surveillance. And earlier this year, the former NSA director finally submitted a 193-page declaration in response to our questions, in addition to producing thousands of pages of other evidence concerning the NSA’s spying program for the court to review. No case challenging NSA surveillance has ever pushed this far. As the years press on, the picture becomes clear: the NSA’s mass surveillance operation is deeply embedded inside our country’s Internet and telecommunications infrastructure. Now, thanks to The Intercept’s reporting, we have a better idea of where this surveillance takes place. For many of us, it’s in our own backyards. Despite the government’s years-long stonewalling, EFF is committed to continuing its fight against the NSA’s mass, warrantless surveillance. According to The Intercept, the NSA is siphoning data out of eight large AT&T buildings, known as “service node routing complexes,” located in Washington, D.C., New York, Atlanta, San Francisco, Dallas, Chicago, Seattle, and Los Angeles. These centers handle not only AT&T’s internet traffic, but also the traffic of other phone and Internet providers. At these complexes, the NSA and AT&T copy and analyze large swaths of domestic and international Internet traffic. This information includes the content of your emails and online chats, along with your browsing history. Some amount of this traffic is processed and stored by the NSA, sometimes for years. This network of warrantless surveillance, described by The Intercept, is quite familiar to EFF. In 2006, former AT&T technician Mark Klein told our organization about what he believed was NSA surveillance taking place inside one of the company’s San Francisco buildings. As he stated in 2006, through his work at AT&T, he learned that the NSA had installed surveillance devices in AT&T facilities in other cities on the West Coast, like Los Angeles and Seattle, just as the Intercept confirmed. 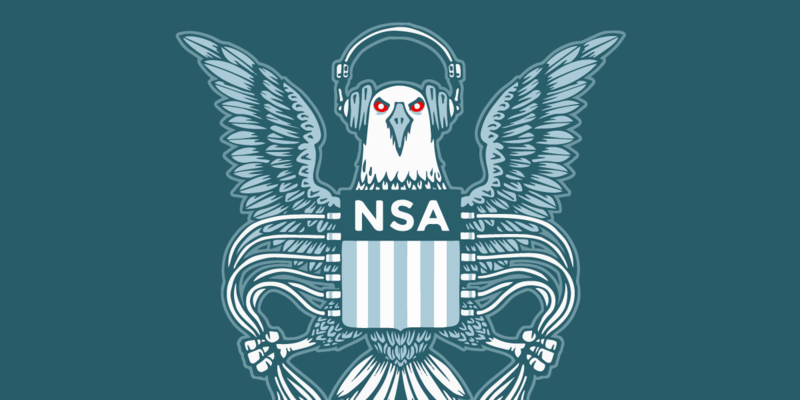 Equipped with expert testimony, verified technical diagrams, and investigative reporting like the Intercept’s that increasingly bolsters our arguments, EFF’s signature lawsuit against NSA surveillance is looking stronger by the day. But the government missed the first deadline of 2018 and received one last extension. The new deadline to respond to our discovery questions was February 16. The court also told the government that it would need to comply with a previous order to “marshal all evidence” it had about our plaintiff’s ability to prove harm and deliver it directly to the court, away from public view, by April 1. Finally, the government complied, submitting reams of evidence about its vast surveillance operation. That included declarations from former NSA director Michael Rogers and Principal Deputy Director of National Intelligence Susan Gordon. But yet again, we met obstacles. Much of the submitted evidence is classified, requiring security clearances that our lawyers do not possess. We asked the court for temporary approval to help review the evidence, but our requests were denied. Now, the court will have to sort through this information on its own. However long that takes, we’re confident the evidence will show that the NSA has been collecting and searching the communications of millions of innocent Americans for decades. Despite the government’s years-long stonewalling, EFF is committed to continuing its fight against the NSA’s mass, warrantless surveillance. Multiple newspapers and publications, like The Intercept, are equally committed, too. We thank them for investigating and writing stories that confirm what we’ve said in our Jewel suit, and for continuing to expose the enormous breadth of NSA surveillance to the public.